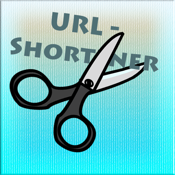 This app is an great app for to shorten your URL ! It is very user-friendly and has a very beautiful design and the app is very simple to use. Just enter the url you want to 'short' and select wich output you want , click the button and you're done ! After you have make your URL shorter , you can or copy it to the clipboard via a button press or open it in safari direclty by clicking another button. So it is very user-friendly with a great design.